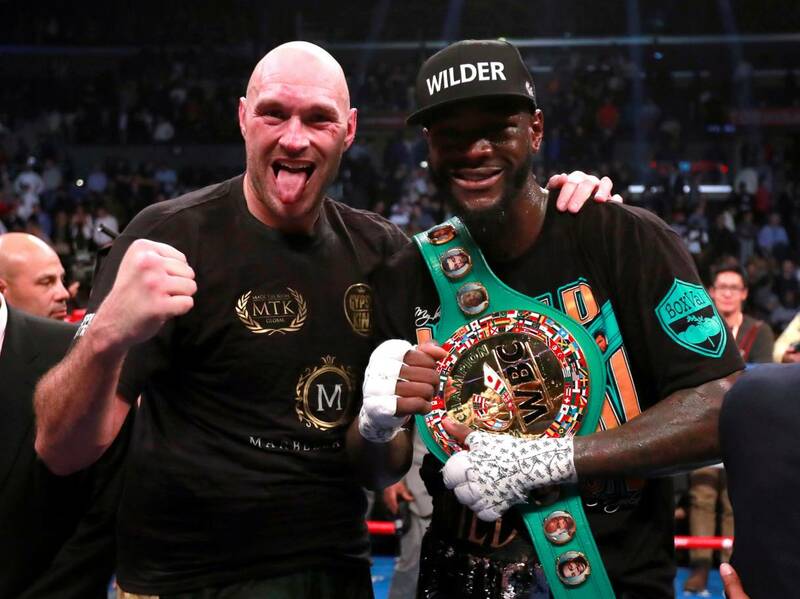 Lineal heavyweight champion Tyson Fury 27-0-1 (19) has revealed the real reason he didn’t complain in the ring after his controversial draw with WBC heavyweight champion Deontay Wilder 40-0-1 (39) at the Staples Center in Los Angeles, California on Saturday night. The 30-year-old self-described ‘Gypsy King’ had to settle for a draw after outboxing the 33-year-old American for much of the fight before finding himself on the canvas in the ninth and twelfth rounds. Fury was surprisingly circumspect in his post-fight interview after the split draw was announced. Instead of expressing his disappointment with the result of a fight many thought he deserved to win, Fury told Showtime he was proud of effort instead. Later, he revealed the reasoning behind his comment. “You know what it was?” Fury said. “I was telling my brothers and my family to keep quiet. Because there were about 10,000 travellers, Brits, that came from around the world [to attend the fight]. Fury won over a lot of fans with his heroic ability to beat the count in the twelfth and final round after he was dropped heavily by a right-left combination from the notoriously powerful Wilder. He praised veteran referee Jack Reiss for allowing him to continue. “You can’t go swimming and not get wet. And I got wet. I got drenched actually,” said Fury. “Fair play to Jack Reiss, he’s fantastic referee, the best I’ve ever experienced. “He did say in the changing room before the fight, ‘If anyone goes down I will give you chance to prove you’re okay. But you must prove you’re okay, otherwise I will stop the fight’.